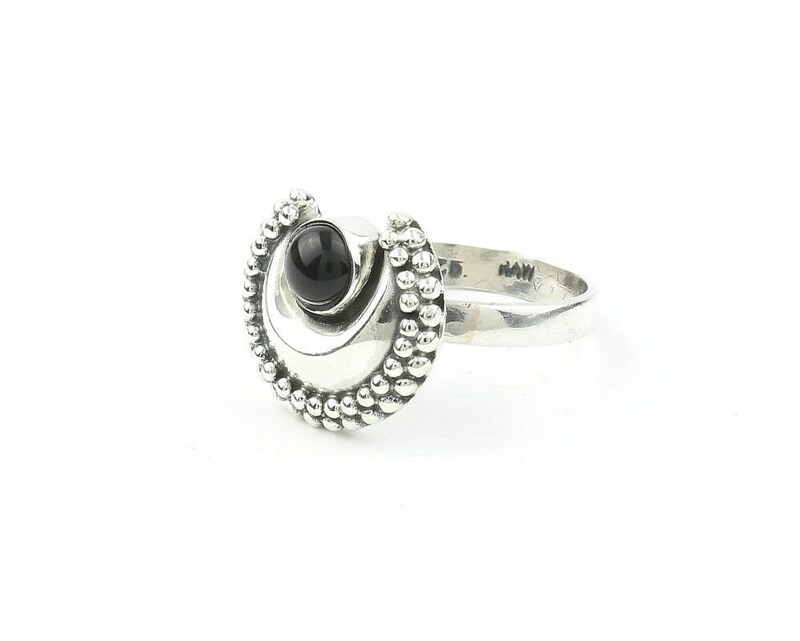 Beautifully detailed sterling silver crescent moon ring. Inside the moon sits a dark Black Onyx accent stone. The light patina finish accentuates the intricate detail of the piece. Unique artful and magic! Just perfect fit.